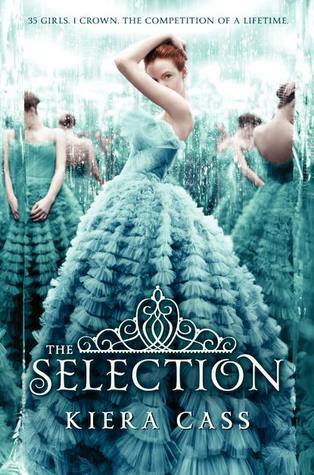 Review of The Selection by Kiera Cass | What YA Reading? I picked up The Selection largely because I’m spending the week on the beach and wanted a book with a yummy cover to delve into. True to its nature, The Selection was a great beach read—although that may be because it was so awful that I couldn’t find any depth to associate to it, and so considered it to be light and fluffy. Firstly, its premise is stupid and a bit sick. 35 girls competing for a prince and a crown in the goal to create some sort of entertainment for the people? Honestly? That’s why we have The Bachelor. And let me tell you, I am not the biggest fan of that show. The fact that The Selection was sold as a Hunger Games hybrid only annoys me further; this book is nothing like The Hunger Games—unless, of course, you count that rip off of Claudius Templesmith. Sure, the girls tried to get each other eliminated, but in reality this book contained as much real drama as spilled milk. Which is, despite what people would have you believe, slim to none. Cass’s world building was a bit far-fetched, to say the least. About halfway through the novel, we are given the explanation as to why her dystopian society exists in the way that it does. Needless to say, this explanation is contains a series of events that are completely implausible and hard to picture. The caste system, although a great dystopian concept and reflection on our society, is also horribly under-described. I love the idea of Illéa, with its provinces, palace, and rules, but ideas are, unfortunately, completely useless unless they’re well developed. America Singer (who just happens to be a singer. How coincidental.) is certainly not the best developed heroine whom I’ve encountered. She’s supposed to be feisty and individualistic, and I can almost see that; she yells at Prince Maxon about the Selection’s sick nature, and refuses to wear big jewelry. However, she’s just so whiny all the time, and this just kills any other qualities. I mean, what kind of girl complains about being pretty? Come on! “Please don’t call me gorgeous. First my mom, then May, now you. It’s getting on my nerves.” By the way Aspen was looking at me, I could tell I wasn’t helping my “I’m not pretty” case. Aspen and Maxon are other excellent examples of poor characterization. Although Aspen claims to love America, he willingly risks her life so many this affirmation becomes questionable. And Maxon keeps telling America just how much he likes her, despite her rejection of him on more than one occasion. I find his insistence on this vulnerability very hard to believe given the fact that Maxon has never interacted with women his age before. And as for the ending—no. Just no. You do not end a book in the way Kiera Cass ended this book. No. Let me ask you, what is The Selection about? Oh, right. It’s about a selection. And what do people do with selections? They select things. They do not narrow their options down to a few and leave the book at that. Cass could have easily added a hundred or so pages to the 327 existing ones and actually completed her plotline. Although they didn’t affect my review in any way, the completely unprofessional actions stemming from Kiera Cass and her agent only add to my distaste for this novel. We get it, criticism is harsh—especially when it’s true. But that doesn’t give you any right as an author or an agent to ask all of your friends to like the more favourable reviews of your books on Goodreads, nor does it allow you to call your honest reviewers names (which are best left unsaid). No. You sit there, you keep your mouth shut, and you take it like a professional. The Selection merits 2.8/5 stars. For fans of princesses, cliffhangers, and awful reality TV shows. 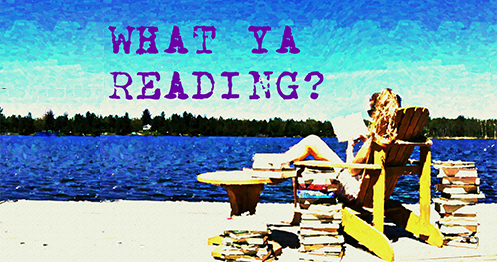 Pingback: Top 10 Beach Reads | What YA Reading?